If you are ever in the Philadelphia area, then you should definitely check out the Reading Terminal Market located on 12th and Arch Streets. Mouth-watering aromas, locally grown and exotic produce, Amish specialties, fresh meats, seafood, and poultry, and handmade confections and baked goods straight from the oven. Everything you need to create a memorable meal, from cookbooks, to table linens, to kitchen ware, to fresh cut flowers, and more. Plus the widest variety of restaurants under one roof. Find it all here at Philadelphia’s historic public market, Reading Terminal Market! 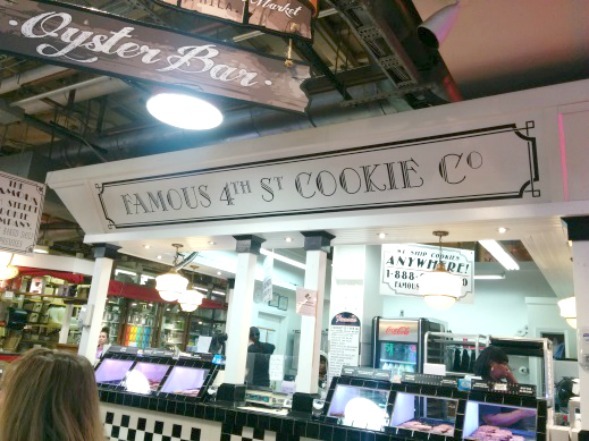 The Reading Terminal Market is perfect for your next lazy day. 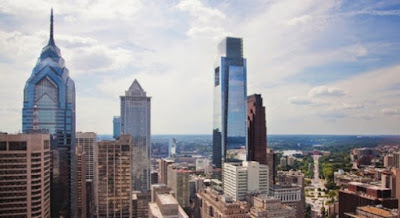 It’s a great place for Philadelphia locals to go for breakfast, lunch or any time of day for food, local produce, meats and cheeses. There are also a few shops to buy your friends and family gifts such as City Kitchen or Amy’s Place. Rebekah and I enjoyed our few hours at the Market, eating savory and dessert crepes made to order at Profi’s Creperie, grabbing a coffee and hot chocolate at Old City Coffee, walking the market checking out the different shops , and ending the visit with a dozen cookies from Famous 4th Cookie Co. Many merchants are closed on Sundays, so the best time to visit is Monday-Saturday. Stop in for some fresh produce or stock up on your meat for the week. 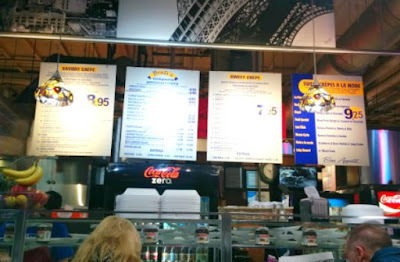 If you’re hungry and have time to spare, grab a table at Pearl’s Oyster Bar, but if you’re in a hurry, order a pork sandwich from DiNic’s before continuing your busy day. There really is something for everyone; from sweet treats, delicious beverages; from meats & poultry to dairy & cheeses; from fresh flowers & plants to shopping; from specialty foods to a number of restaurants. So stop by the Market on your next trip to Philadelphia. The Market is open Monday-Saturday from 8a-6p and Sunday 9a-5p. Parking is close to the Market in two locations for $4. Find these garages at 11th & Arch streets and 12th & Filbert streets. 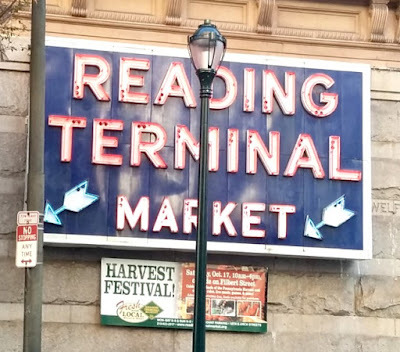 To learn more about the Market, its history, upcoming events and for a list of merchants visit www.readingterminalmarket.org. Disclosure: Guest Reviewer Sara Miller was given complimentary breakfast at Reading Terminal Market in Philadelphia as part of this travel feature. No monetary compensation was received. We shall be visiting our son In Nj who leaves lose to the Prnn. Line and Philadelphia. I don' t know if they have ever gone to the Reading Terminal Market and I would love to go there.